 The three exercises that make up the Tactical Strength Challenge are: A max powerlifting deadlift (three attempts) Pull ups for max reps (palms forward, no kipping, chin must clear the bar) or a flexed arm hang (in the Novice Women’s category) Kettlebell snatches for max reps in a 5:00 time period (unlimited hand switches and different weights for different competitor categories). Preparing requires your focus on different types of strength and endurance—as demanded by real life’s challenges. If you'd like help training for it, either email me at valerie@pacstrength.com or check out our training options on our blog. Developed by Pavel Tsatsouline and taught by of our most qualified Instructors, it is the eight-hour kettlebell workshop—perfected.